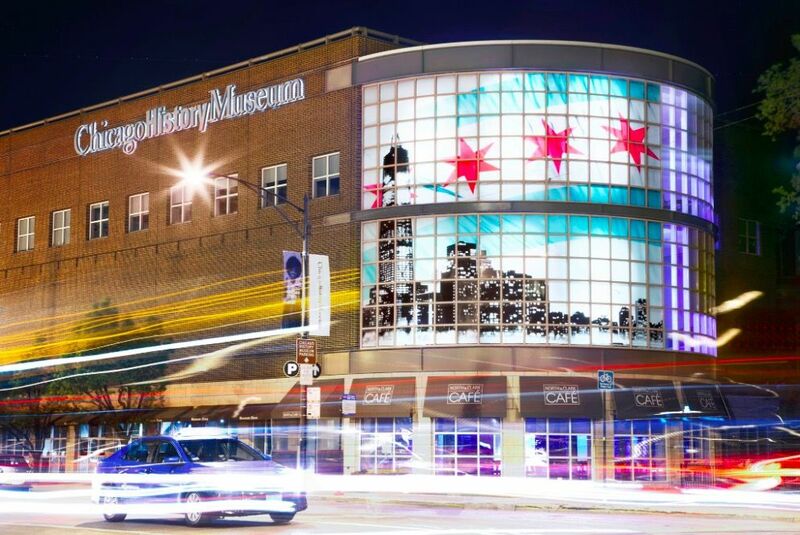 Chicago is home to more than 60 museums, a veritable playland for the culturally inclined. Many visitors head straight to the Museum Campus, where three great options are set on a super convenient loop on the lakefront. The Field Museum, Adler Planetarium, and Shedd Aquarium are within walking distance, but I don’t recommend fitting them all in one day. Unless you’re on a mission — armed with a pass to skip the lines, a checklist of exhibits, and timetable of show times — it’s just too much ground to cover. Instead, take a couple days and slow it down. Topping my list is The Art Institute of Chicago. It is located right downtown, next to Millennium Park. It’s also part of a whole collection known as Museums in the Park, which are spread throughout the city from the Loop to the neighborhoods. Between all these many options, here are the seven best museums in Chicago. Board an actual U-505 German submarine from World War II — all 252 feet of the hulking metal vessel is dramatically housed in an underground wing of its own. Step inside a 40-foot indoor tornado as gusts of air and vapor swirl around you — Science Storms shows you all the forces of nature with lightning, fire, and tsunamis in action. Maneuver through a geometric mirror maze in Numbers in Nature. Snap some trippy photos — just don’t walk into a wall. Sync your pulse with the Giant Heart and take the human-sized hamster wheel for a spin in YOU! The Experience. There’s more. A fairy castle. Baby chicks. A working coal mine. Airplanes. Trains. And that’s not even including whichever blockbuster temporary exhibits are touring here. Eat like a local: Skip the museum cafeteria. Once you’re done geeking out, head into the Hyde Park neighborhood for lunch or dinner. Cost: $21.95 at door, $19.95 if bought online. The cuteness factor is on overload! Belugas and dolphins, plus penguins and playful sea otters. Some 32,000 animals make their home at the Shedd Aquarium. Catch a show and head into the underwater viewing areas for more close-ups. This place is popular. Every day. At almost every time. But the focus on education, conservation, and sustainability underlies it all, making the lines and crowds well worth the hassle. Water taxi: If it’s nice out, the best way to get to the Shedd — and all of Museum Campus — from downtown is a ride on the Shoreline Water Taxi. Hop a ride on the Lake Route for a fun ride and great views May through September. Cost: $39.95 adults / $29.95 children. 50% discount for Chicago residents. This is a big one. Over 480,000 square feet of exhibition space dedicated to all things natural history. Also big at The Field Museum is the newest addition to step into the building; welcome the largest dinosaur ever discovered when the 122-foot-long tyrannosaur makes its way here in summer 2018. The museum’s most famous resident, Sue the “largest and most complete specimen of Tyrannosaurus rex,” has been a fixture in the grand central hall but you’ll find Sue in a new suite upstairs starting in 2019. Make like a curious scientist and explore the themed galleries. In the crowd favorites, you can descend into an ancient Egyptian tomb or meet an Ice Age mammoth. There are gems, too — literally a whole collection of rare jewels — and other lesser-known exhibits like the Hall of Birds where you can study species up close in one of the most outstanding display collections in the world. Drink up: The Bistro Bar, tucked away in a corner of the museum, is a great way to impress a date with a quick stop for a craft beer. The signature brew is Tooth & Claw, a collaboration with Off Color Brewing that’s named after Sue the T. Rex. This is where the cool kids hang out. The Museum of Contemporary Art Chicago — better known as the MCA — is a triple threat. There’s a constant rotation of thought-provoking works and artist retrospectives in the galleries; a cutting-edge mix of dance, music, and theater on the stage; and a menu of seasonal cuisine from a top Chicago chef in the kitchen. If you can visit in the warm-weather months, alfresco concerts and outdoor installations add to the mix. Merch: The MCA Store has a great selection of unique finds and limited-edition prints. Gifts and gadgets, books and cards, jewelry and toys… all items are focused on design and contemporary art, often with an equal dose of quirkiness and good humor. Cost: Suggested donation of $15 adults / $8 students, teachers, and seniors. Free for kids under 18 years of age. When so many of the big Chicago museums swell with crowds, the Chicago History Museum keeps things low key. This is the perfect spot for catching up on all the chapters of city history, like the Great Chicago Fire in 1871 and the World’s Columbian Exposition in 1893. Dioramas have a retro appeal, while hands-on galleries are geared towards kids (one fun photo opp is the station where you put together all the ingredients for a Chicago-style hot dog). Souvenir shopping is great at the museum store. Itinerary tip: A short visit is all you need, and you should follow it up with a trip to other neighborhood attractions like North Avenue Beach, or pair it with food, drinks, and park views at The J. Parker rooftop. 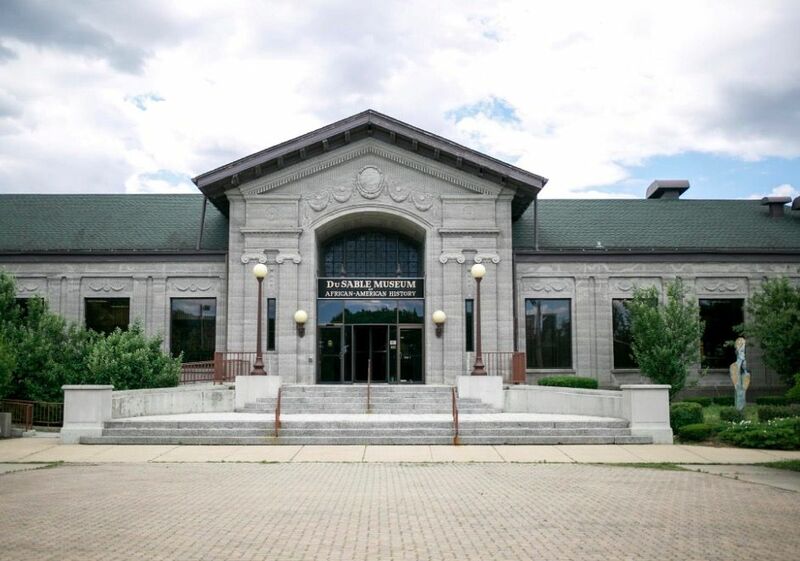 Cool fact… the DuSable Museum of African American History is one of the oldest institutions of its kind in the country. Another cool fact… Chicago-proud musician and celebrity Chance the Rapper added some star power to their efforts when he joined as a museum board trustee this year. It’s pretty special to be so rooted in history and heritage, but also very future forward. Inside the museum, visitors find exhibits showcasing the role of African Americans in major events throughout US history, along with exhibits honoring American heroes who have fought for equality. The museum’s physical space will expand with a new wing set to open on the ground’s historical Roundhouse stables by the time the Obama Presidential Center opens in 2012. South Side explorations: DuSable is part of Museum Campus South so mix and match your itinerary with architecture, art, history and science. Relive your Ferris Bueller fantasies at the Art Institute of Chicago. Highlights from the museum’s permanent collection include American Gothic, Nighthawks, and A Sunday on La Grande Jatte. The Impressionist and Post-Impressionist collection is a big draw, and in total there are over 300,000 works of art. You can be surrounded by Monets one minute, then turn a corner and come face to face with one of Warhol’s pop art portraits, then look down a hall to find a full-sized Medieval figure on horseback rearing up for battle. Spot the major pieces and big-name artists, or wander the galleries until you get lost. It’s all part of the fun. Cheap eats: Food trucks park along Michigan Avenue and Monroe Street, just outside the museum’s Modern Wing entrance (which often has quicker lines to get in). Cost: $25 adults / $19 students. Check the website for upcoming free days and promotions. More like this: What to do with a day in Chicago?